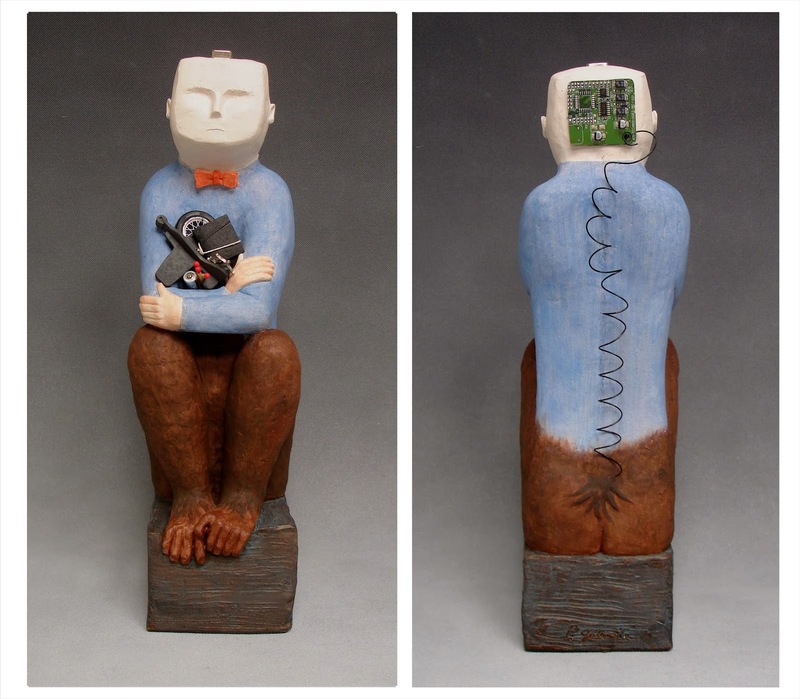 From Pat Gilmartin, this sculpture is entitled “As Time Goes By,” symbolizing changes in our history as humans. The feet and legs of the figure are shown as chimp’s features, while the mid-section represents more recent developments in our history. The figure holds in his arms several things that humans have invented through time: a book (the printing press), matches (representing fire), an airplane, and symbols of the medical profession. At the top, the figure’s head is blocky and expressionless, while the back view shows that his brain is made up of a computer board and wires. Don’t take it too seriously, though; the piece is offered in fun!